We all agree that we need a green alternative to fossil fuels. The problem is that palm oil, once trumpeted as a possible successor to crude oil has become a target for environmentalists and energy experts who claim that the palm oil industry causes more harm to the environment and its surrounding wildlife than drilling for crude. Rudolf Diesel discovered plant derived biofuels in 1900, proving to the world that one could use peanut oil to power engines. This was the first experiment with eco-friendly ethanol based biofuel; corn, sugercane, soybeans, coconuts and later palm oil would join this family of bioenergy. 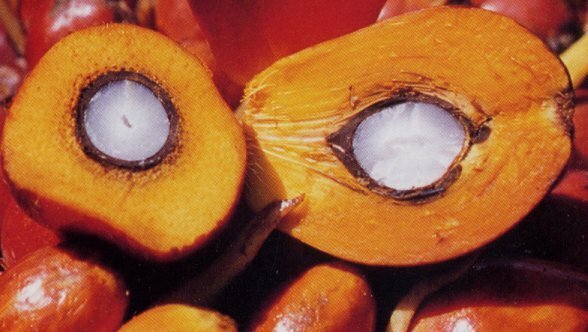 Palm oil is defined as carbon neutral because carbon emitted through use is absorbed proportionately by trees in the environment. Palm oil is easily integrated into existing power generating infrastructure. In terms of cost per barrel, it’s the most cost efficient. For its producers, global demand for palm oil is expected to create over 1.5 million jobs and grow foreign currency reserves. As global demand for a cheaper, greener alternative to fossil fuel grows, a proportionate increase in land is designated for palm oil plantations. As a result, claims have arisen pointing out that plantations in the world’s two top producers produce more carbon that is actually saved. Accounting for 85% of the world’s palm oil production, Malaysia and Indonesia drain peat swamps to create new grounds for palm tree seedlings. Swamps are essentially nature’s carbon storage facilities; the draining of it releases carbon accumulated from hundreds of years of decomposing plant and animal life, unleashing an estimated 600 millon tons of carbon annually. The burning of forests to clear land for plantations adds another 1.4 billion tons. As a result slash and burn activities also pollute the air of countries that neighbour the top producers. 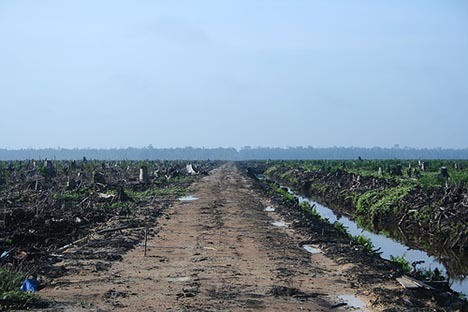 According to an Alterra Research Centre report, Indonesia alone accounts for 8% of the world’s emissions as a result of the 2 billon tons produced by palm oil plantations. It’s slated to rise 4% annually. Ecologically speaking, a domino effect of illegal logging (1. to clear land for palm 2. for timber sale) and wildlife habitats are irreversibly destroyed, threatening Sumatran tigers, elephants and orangutans. 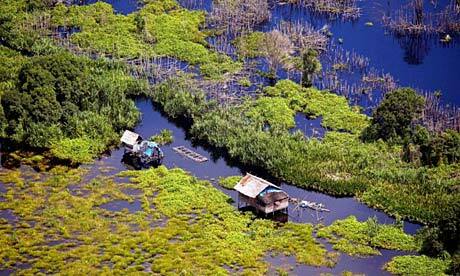 Indonesia loses 2.8 million hectares of rainforest annually, according to the United Nations Environmental Programme. Indonesia will lose its forests by 2020 if this continues. From land clearing to consumption, palm oil’s carbon savings are outweighed by emissions from deforestation, burning and soil-carbon losses. Government ministries to look into sustainable agriculture and strict management to disallow clearing of primary forests for plantations. Reality is that the top producers usually suffer poor enforcement of regulations as a result of endemic corruption. Palm oil is still a good alternative IF a sustainable method of production is found. The only solution to reducing carbon emissions is to cut reliance on fossil fuels. Biofuels are an alternative, not a replacement after all.